Since turning professional in 1996, Tiger Woods became the biggest name in the sport and has won more tournament and majors than any active player on tour. He ascended to the world’s number one ranking and held it for many years. 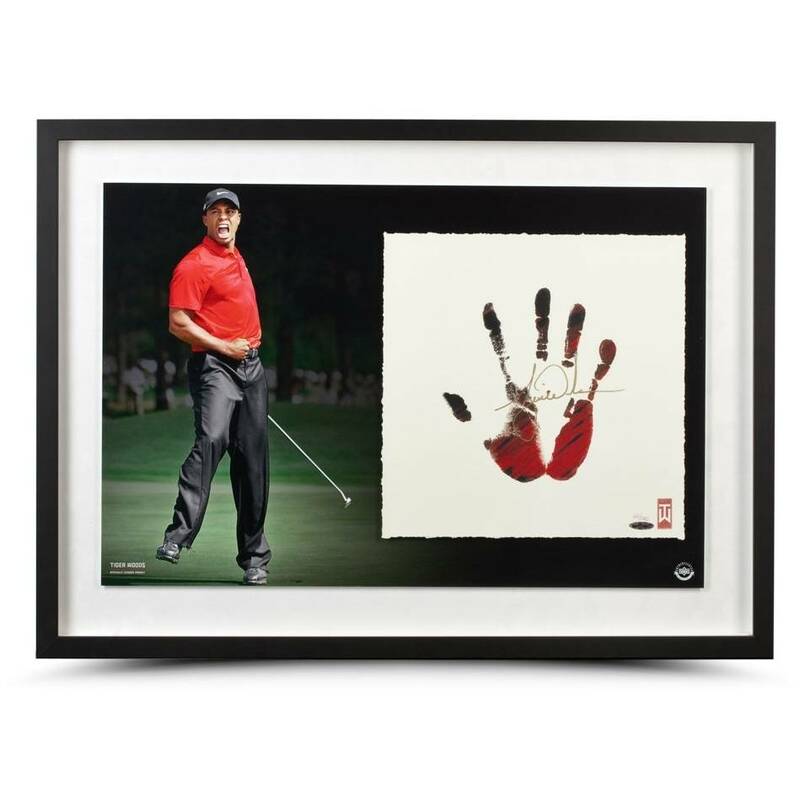 This 16” x 24” celebratory fist pump image is accompanied to the right by Tiger’s signed lithograph “Tegata” hand print. Framed, it measures 20” x 28”. Please note this is a copy of his original “Tegata” hand print and not his actual hand print. The piece is a limited edition of 100. Woods’ autograph has been authenticated by virtue of UDA's Five-Step Authentication Process.